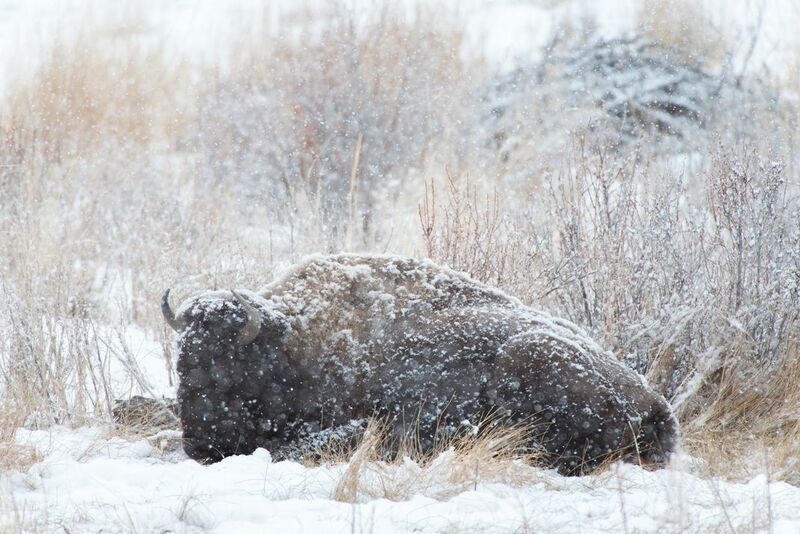 An American Bison lies in a meadow during a heavy snowstorm in Wyoming's Yellowstone National Park on January 26, 2014. The bison had been grazing on the dead grass, and was now chewing its cud, ignoring the snow that was rapidly piling up on its back. Date Uploaded: Nov. 27, 2014, 12:45 p.m.